Welcome to Boris Books! We are a Canberra (Australia) small press dedicated to publishing manuscripts by local Canberra writers in those genres that the larger publishing houses often do not consider. 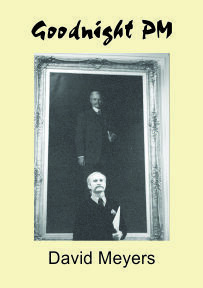 Established in 1993, Boris Books has published a wide range of titles. 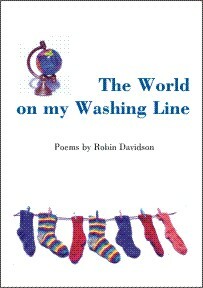 Our range includes fiction, true-life adventure, poetry and song books. 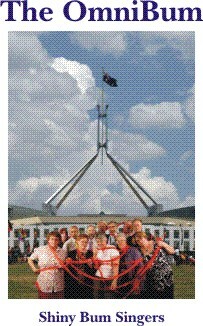 Among Boris Books publications are the songbooks from the Shiny Bum Singers, whose work songs of the public service have taken Canberra (and the National Folk Festival) by storm. Their big book, The OmniBum, is an omnibus edition containing all the songs from the Shiny Bums' previous songbooks, plus additional songs and new stories and photos. 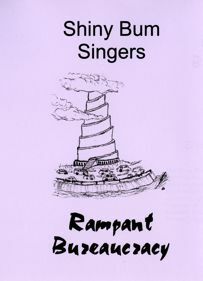 The group's CD, An Audience with the Shiny Bum Singers, is also available. SPAM: If you have received spam claiming to have come from an address containing the domain borisbooks.com.au, we are sorry, but it isn't us. We are victims of mail header forgery and if you have any constructive means of preventing this please contact us. To find more information about these books, click on the image of the cover or on the More Information link. The seven books on our backlist are also available. 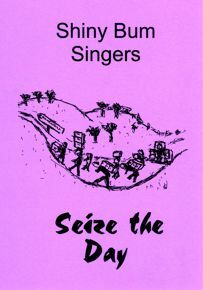 The Shiny Bum Singers’ mock opera, Seize the Day, reports in song a single, horrendous 24 hour day in the life of a group of public servants in the fictitious Department of Everything Else. The crises range from the routine (inter alia, a Minister sacked; a dodgy promotion; an evacuation drill; an IT crash; a visit by the auditors), to the unthinkable (a Prime Ministerial decree prohibiting office romances and a forced Departmental relocation – to Crookwell). The Shiny Bum Singers have launched into pantomime, featuring Angel Gabrielle, Three Wise Kings, a devoted lesbian couple from modern day Canberra, a dingo and her pup, King Herod the Horrid and his Thug, Corporal Bruiser, in a time-travelling nativity drama. It can be counted on to murder some of your favourite Christmas carols. The Shiny Bum Singers’ second musical melodrama explores the relationship between public servants and their political masters. A range of sensitive areas are ruthlessly probed, including penny-pinching and cut-backs, politicisation and whistle blowing, the Freedom of Information Act, the power of political advisers, and not least, the vexing question of How Did the Octogenarian Cross the Road. This book contains the full text of the script and the words of the songs. A memorial to Dave Meyers’ contribution to the repertoire of the Shiny Bum Singers. This book presents all twelve of the songs that Dave wrote for the Shiny Bums, plus two other works by Dave―one being a song sparked by a meal at the Top Half Folk Festival, and the other being a humorous poem he wrote on the subject of death. Plundering well-known musical works for good tunes is an ancient folk music practice. 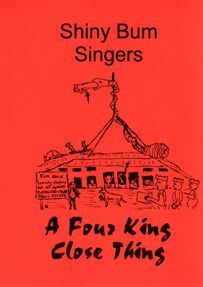 Here the Shiny Bum Singers have gone one further, arranging their versions of songs from a number of popular musicals into their own musical, providing a heart-wrenching saga of life in the public service, first performed at the National Folk Festival, 2011. 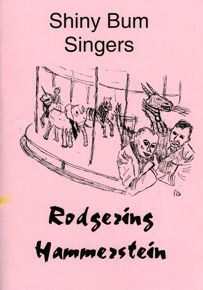 This revised version, performed at the National Folk Festival in 2015, is updated to reflect the latest political leadership merry-go-round. The book contains the full text of the script and the words of the songs. "Their smash hit performances ... had everything: wit, parody and even a touch of pride." Written both for performance and the page, Robin’s poetry ranges from rap to free verse, from the back of a packet of pine nuts to modern nursery rhymes. They tell of war, hunger, toilets and clowns, and of the relationship between the big political questions and the ordinary details of our lives: between the world and the washing line. Boris Books has also published the books of poems for the most recent Australian National University Poets' Lunches and the ACT Writers Centre Poets' Lunches. They can be found on our Poets' Lunches page. Our backlist includes seven books, still in print, including fiction, true-life adventure and poetry. Prices include postage within Australia. For overseas orders, please add $5.00 to the total order price. An order form in Adobe Acrobat (.pdf) format is attached. To use it, please download it, print it out, and include it with your payment. If you want to order on-line, use the buttons on this site. They use the PayPal site, which is a secure site where you can pay by using PayPal or by credit card. Bookshops and other booksellers can place their order by mail to the above address or by e-mail to sales@borisbooks.com.au. All orders are firm sale. A standard 40% discount applies for orders, with postage additional. Goods and Services tax (GST) does NOT have to be paid by customers buying direct from us. The prices listed above do not include GST. Australian customers buying through bookshops or distributors may find that prices are 10% higher than given here due to GST.